Ten years ago today, TLC’s Lisa “Left Eye” Lopes died in Honduras in a grisly car accident that was captured on film by a friend coincidentally videotaping from the passenger seat of her Mitsubishi Montero Sport. Lopes lived a tumultuous 30 years, and the events following her death have been likewise dramatic — photos from her autopsy leaked to the press; a 2005 reality show called R U the Girl searched for a girl who would briefly replace Lopes in the group; the 2007 documentary The Last Days of Left Eye included footage from the moments just preceding her fatal accident. 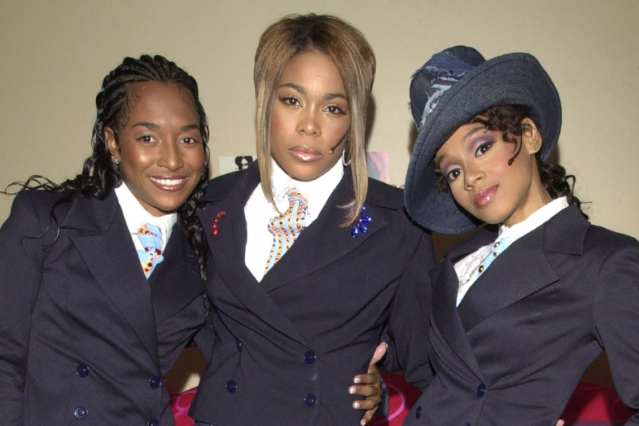 And now TMZ is using the anniversary of her death to report that the surviving members of TLC, Tionne “T-Boz” Watkins and Rozonda “Chilli” Thomas, are putting together a reunion tour and have plans to “resurrect” their fallen bandmate via video projection in the same vein as the tasteless hologram Tupac at this year’s Coachella festival. A rep for the group tells SPIN the TMZ report is a bit exaggerated, and that Watkins and Thomas have toured using old footage in the past. The group did put out a press release two days ago however that hypes an upcoming VH1 biopic and new music along with the planned tour, all to mark a happier anniversary — the 20th anniversary of the group’s birth.